Please click on the image below to link to our new and improved Enrichment Website! Enrichment classes are designed to offer our students who are excelling in their academic subjects additional opportunities to extend, enrich, and enhance their classroom learning. 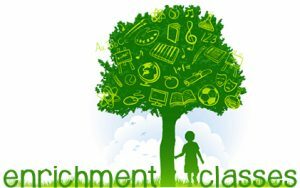 We will be starting our Enrichment classes after our first report cards are distributed in December.